Today is International Women’s Day. Initiated in 1910, International Women’s Day is ‘a global day celebrating the social, economic, cultural and political achievements of women’. This year’s theme is Women in the Changing World of Work. Playing with this idea, we would like to pay homage to women who have sought to create change through their work. We are proud to have them represented in Te Papa’s collection. Lady Victoria Plunket was vital to the early success of Plunket, what was originally named the New Zealand Society for the Health of Women and Children in 1907. Plunket is now a household name in New Zealand, an organisation well-known for its work with children and families. Most people who know anything about the history of Plunket understand that it was founded by Dr Truby King, but much less is known about its namesake – Lady Victoria Plunket. Lady Plunket. S P Andrew Ltd: Portrait negatives. Ref: 1/1-014571-G. Alexander Turnbull Library, Wellington, New Zealand. It was Victoria’s idea to establish specialist nurses and to professionalise the Plunket Society. She was instrumental in connecting the New Zealand initiative with international best practice, as well as feminist ideals around women in the workplace. While in New Zealand with husband Sir William Plunket – Governor-General of New Zealand – Victoria Plunket whole-heartedly embraced and supported Truby King’s ideas on childcare. 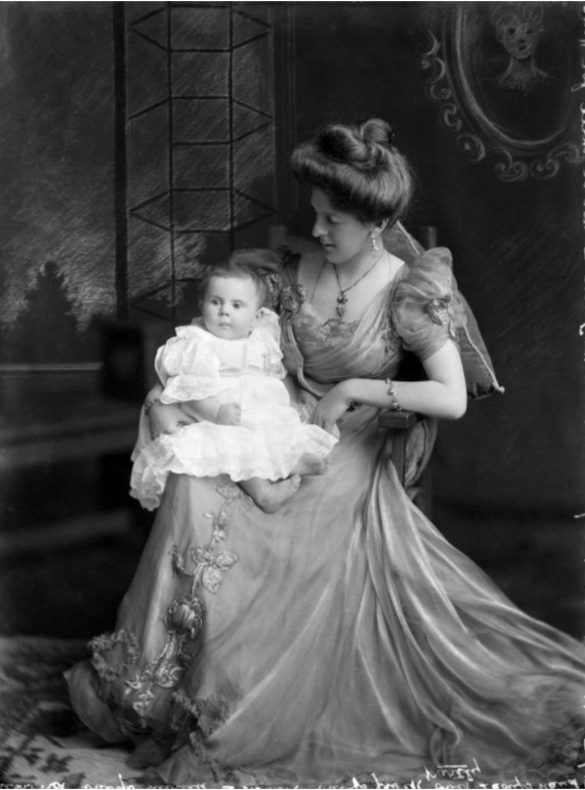 She ran public meetings, and, when five months pregnant with her eighth child, went on a lecture tour around New Zealand promoting ‘The Proper Care and Feeding of the Baby’. In the evening sessions up to 350 people attended. While on tour, she took the opportunity to promote her invention, the Ventilated Perambulator: a special pram with air vents designed to ensure babies got a maximum fresh air. Emerging scholars now have many intelligent and widely-respected female mentors to look to for inspiration, so it is easy to forget that women have not always been able to participate in academic conversations. A generation of women educated in the 1960s and 1970s fought to have their voices heard in intellectual institutions, and to have women’s diverse and complicated pasts represented in history books and museums. Judith Binney conducting research for her book Ngā Mōrehu: The Survivors. Photograph by Gillian Chaplin, 1978. Alexander Turnbull Library, Ref: 35mm-96822-23-F.
One of those women was Dame Judith Binney (1940-2011), Emeritus Professor of History at the University of Auckland. Widely admired for her sharp prose and insightful analysis, Binney led important disciplinary conversations about representations of New Zealand’s past and the fraught histories of cross-cultural encounter. She was also a pioneer in the field of oral history, demonstrating the power of the spoken word to capture emotion and ambiguity. Dame Judith is well represented in our Te Papa library, and indeed in libraries all over the country, where her numerous award-winning publications are held. We also have in our collection a pair of her leather boots, purchased while she was on vacation in Spain in 1973. They were her favourites, and she donated them to the museum in 2005. Dame Judith stood tall in a profession dominated by men, and as a young female historian I stand proudly upon her shoulders. When thinking of women activists, names like Rosa Parks, Malala Yousef, Angela Davis, and Kate Shepherd immediately come to mind – and rightly so! Also deserving of acknowledgement and important for a New Zealand Pacific context, is the lesser known name of Falema’i Lesā. For International Women’s Day this year, I would like to highlight Lesā’s story of migration and her fight against the New Zealand government. Her actions are an important part of our history and directly influenced the legal status of Samoans living in both New Zealand and Samoa (known at the time as Western Samoa). Post World War II was a period of economic boom in New Zealand. Pacific people were encouraged to migrate on temporary work permits and help meet the high labour demand of industrialisation. Work at the time was plentiful, expiry dates on visas were ignored and regulations were not enforced. By the mid-1970s however, New Zealand’s economic situation had drastically changed for worse. Pacific people were identified as problematic and seen to be a burden on New Zealand society. Like hundreds of others, Lesā was facing deportation after being prosecuted as an overstayer by New Zealand authorities. Rather than return to Samoa, Lesā believed that because Samoa was under British rule when she was born in 1946, she was in fact a British subject and thus automatically qualified for New Zealand citizenship. 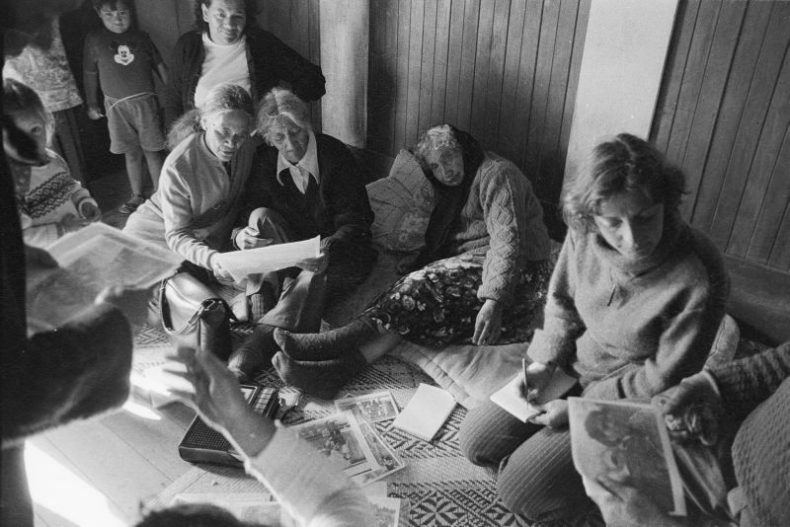 With the support of her lawyers, Lesā took her case to the Privy Council and officially challenged the New Zealand Government in a landmark court case of 1982 (Lesa v. Attorney General of New Zealand, 1982). The case was centred on the translation of the Act of 1928 which, put simply, declared Lesā and at least 100,000 other Samoans to technically be New Zealand citizens. This ruling forced the New Zealand government to act and led to the controversial implementation of the Citizenship (Western Samoa) Act 1982. This new act was described as a compromise that allowed all Samoans located in New Zealand as of the 14th of September 1982 entitlement to citizenship and those physically located in Samoa, not. The case was iconic and followed a turbulent period of time in New Zealand’s history in which Pacific people were being unfairly targeted by police, dawn raids were common and race relations were at an all-time low. Falema’i Lesā’s story still very much has relevance today. It is an important historical example of migrant agency and activism during times of political difficulty. It also demonstrates how one person can make a great difference for many, in this instance – a whole demographic of people. Fa’afetai lava (Thank you) Mrs Lesā. Dame Margaret Sparrow (born 1935) is one of New Zealand’s leading sexual-health doctors and birth-control advocates. In the 1960s and 70s she pioneered contraception and abortion services for students, and vasectomies for men. She was one of the first doctors to prescribe the emergency contraceptive pill in New Zealand, and has long been an outspoken advocate of abortion law reform. In 2002 she was made a Distinguished Companion of the New Zealand Order of Merit (later Dame) for services to medicine and the community. Dame Margaret assiduously collected contraceptive material culture throughout her career from the 1960s to the 2000s, with objects in her collection dating back to the late nineteenth century. In 2011 she gifted the majority of her collection (over 750 objects) to Te Papa. Multiload Cu250 intrauterine devices (IUD), 1990s. Gifted by Dame Margaret Sparrow, Te Papa (GH022305). When Helen Hitchings (1920-2002) launched her gallery in Wellington in 1949, it was a landmark moment for modernism in New Zealand. Bringing together New Zealand art and design within a gallery space (designed by architect Ernst Plischke) she offered the public an opportunity to see for themselves the way modernism could be part of their lives. In a radio interview in 1950, she talked about her desire to ‘stimulate awareness in a simple, practical way of the principles of good domestic design’. Many of the artists whom Helen Hitchings selected were to become leaders in their field: Rita Angus, Louise Henderson, Toss Woollaston, Colin McCahon, potter Len Castle, textiles designers May Smith and Avis Higgs. The gallery was short-lived. In mid-1951 she headed to London to take a collection of art with her and on her return she was unable to re-start the gallery. However the gallery remained an important milestone and a formula that was drawn on in subsequent years. Laurie Foon launched her fashion brand, Starfish, in 1993. Frequently, described throughout her career as ‘the antithesis of a fashion designer’, ‘a fashion-industry sceptic’ and social activist, Foon decided early on in her career that she would only stay in the industry if she could change it. In 2007, Starfish became the first fashion company in New Zealand to earn a National Sustainable Business Award for ‘commitment to key sustainability goals, including energy, waste and transport issues as well as social responsibility and family friendly employment policies’. As she strived to make her company environmentally and ethically responsible in the face of ‘fast fashion’, and to keep production in New Zealand, she also encouraged consumers to become more informed and to ask more questions about the products they purchased. 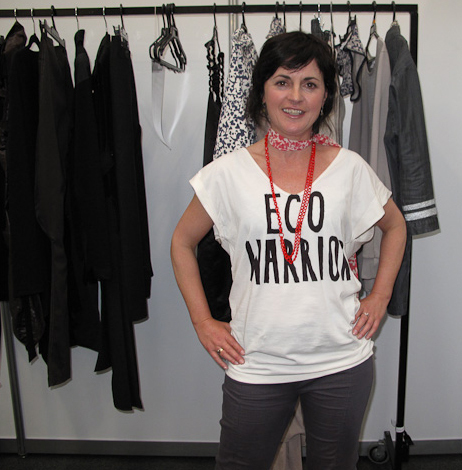 ‘Eco Warrior’ Laurie Foon behind the scenes at NZ Fashion Week, 2009. Photo courtesy of Megan Robinson, Thread magazine. No longer in the fashion industry, Laurie continues to work towards a more sustainable future as a regional co-ordinator for the Sustainable Business Network. In her ‘spare time’, she produces B-Side Stories, a community radio show celebrating ‘the unsung heroes, rebels and enthusiasts’ who shape her home city of Wellington. In 2013 Te Papa acquired a collection of garments from Starfish’s history, along with the company’s design archive. I like to think of Dorothy Kate Richmond as the modest matriarch of the Wellington art scene. Daughter of the colonial artist J. C. Richmond, she showed talent from an early age and was one of a handful of women in colonial New Zealand to receive a professional training in art. In the early twentieth century she became firm friends with fellow artist Frances Hodgkins. However, Hodgkins shrewdly assessed Richmond’s ability, noting ‘she has nice taste & judgement but lacks fire and originality’. In contrast to Hodgkins, who pursued an artistic career abroad, Richmond stayed in Wellington and committed herself to the local art scene. She was a stimulating and much-loved teacher, and a serious practitioner. Richmond served on the council of the New Zealand Academy of Fine Arts, but was never elected to a position of responsibility. Instead, she headed the ladies’ committees for catering and fund-raising. In spite of this, she used her ‘taste and judgement’ to urge purchases of work by female artists such as Frances Hodgkins and Margaret Stoddart. In her will, she gifted 70 of her father’s watercolour sketches (but none of her own) to the National Art Collection, which are now in the care of Te Papa. This painting was purchased in 2005 – part of an ongoing attempt to better represent this modest matriarch in our collections. The women above are just a handful of those whose work enriches our national collection and our own work everyday.